My first question, why do 2 women cop, who know that some have tried to tag a man as violent, would come to arrest said man, without male backup, in the house, or outside, just in case....or were they outside waiting....somewhere? Why is it that on November 29Th 2009, I called the RCMP, talked to 3 officers, two in Kingston and one in Ottawa and they told me the warrant for a fine was around Ottawa and Quebec only, I was told the worse that could happen to me is if I got stopped for a seat belt violation or something in that area, I would have to pay it on the spot, now this warrant is changed to make it Ontario wide, and the Ottawa courthouse, told me the fine was so old, 1993, they did not have the file anymore....No one was interested in this fine, as the officers told me, in the grand scheme of things you are not that important to us, Oh and it was $500 or 5 months, I am guessing the 5 months is what was aimed for....would of solved a lot of problems...Even when I had the locals at my door, they mentioned the fine and told me it was only in Ottawa and surrounding area.....I was not even allowed to go to the bank to get the money, to pay the fine, so.....again the 5 moths thing. With all due respect, there was 2 of them one who had one idea in mind, the other with the facial expression, I could see she cared about the issue...My guess is the one that cared was a rookie, they usually do at first, then most change with time...Can't blame them, the only thing they ever experience is cons, lies, deceit, and violence...anyone who goes through that type of situation continuously eventually it hardens their opinions. When we come to a situation in our society, where someone considers "her" public persona as does erin lee todd, more important than the life of a child, namely my own, and if this is rampant in those who represent the people, then we are looking at the fall of a civilization, I am a student of history, the fall of the roman empire for example, was because those in power considered themselves untouchable, out of touch with the rights of the individual, which was the basic character of Rome and the reason why it lasted so long. The mighty Rome fell to a tribe of backward barbarians called the Visigoths. from dictionary.com; A prolonged bitter quarrel with or campaign against someone. From dictionary of contemporary English: a situation in which one person or group tries for a long time to harm another person. For the sake of augments, because i was told my blog is read by the opp and probably others, I do "not" believe in violence and will never follow that path, I am Canadian, I do not need to be violent, right will win, ALWAYS. Sounds to me that there is a smear campaign against you, trying to paint you as an aggressive man. If you never pleaded guilty or found guilty in a court of law to that which some are using to attack you, then it should not be used. If it is done, then legally it opens the door for a lawsuit. Reading your posts, it does look like there is a pattern of intimidation in this case. To suffer physically, psychologically and emotionally from the action of others is a reason for a lawsuit. Persecution and injustice committed against men has been going down lately but there is still a long way to go. 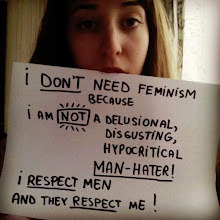 Real women, self respect and family. The society we live in.